"We are merging lunar geological knowledge and spacewalk skills to develop European expertise in Moon surface exploration," says Hervé, who still remembers the magic of watching the first Moon landing from a camping site in France five decades ago. He was only six years old. "We do not have a lunar spacesuit for these tests, but after spending many hours training with NASA's spacesuits we are accustomed to the limitations of mobility. 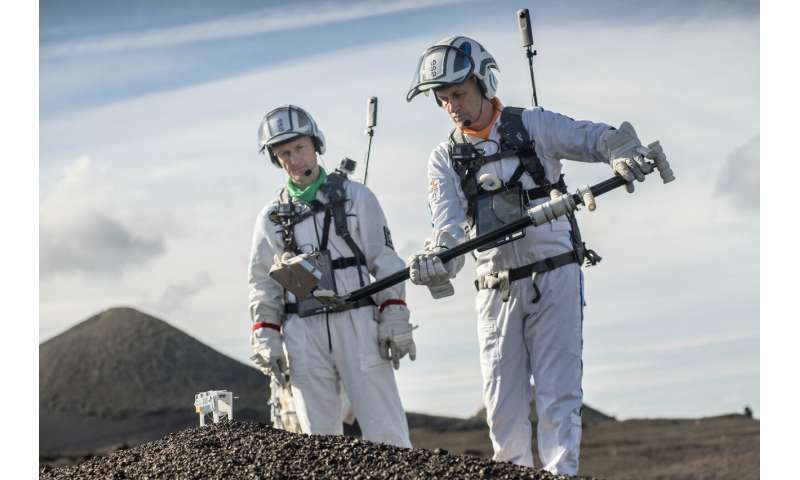 We applied this knowledge – and our body memory – to testing the lunar tools," says Hervé. Cameras fitted in the spacewalkers' gear transmitted live video to the scientists. Wide angle videos, 360 panoramas, close-ups and microscopic images were sent to the spacewalk coordinator and scientists monitoring the activities from mission control. 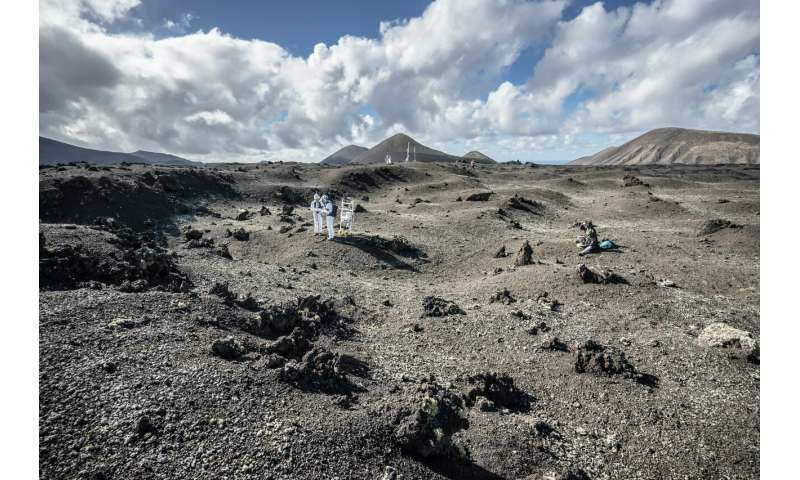 "The next generation of lunar explorers will be trained in relevant scientific disciplines, but there will always be more expertise on Earth," says Samuel Payler, research fellow at the European Astronaut Centre in Cologne, Germany. "The challenge is to have this expertise transmitted to the astronauts during a moonwalk to make the best decisions based on science. Sharing data in real time, including images and video, is an essential part of this." Matthias and Hervé received planetary geology training through ESA's Pangaea course. However, they were advised by a team of scientists in mission control to help them select the most scientifically interesting samples.